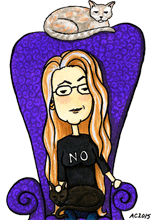 This bookmark was born the last time I had Sharpie Week, and I had all my various Sharpies scattered out over my art table. Three different shades of marker form layers of squiggles and spirals, a bit like a rocky pool in the rain. 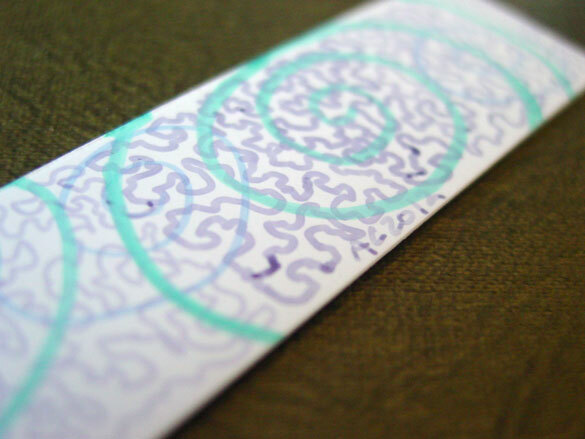 Spiral Bookmark 4, 6″x1″ Sharpie marker on cardstock. Above, you can see the various shades of Sharpie, though I must say my digital camera really gives the blue a neon glow it doesn’t have in person. 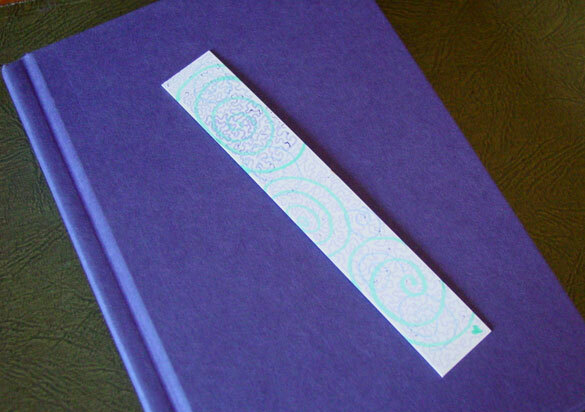 Below, the bookmark is hanging out with a hardcover book, ready to mark your place. The sunlight really washes out the marker here, brightening the blue to turquoise and paling out the periwinkle to almost nothing.